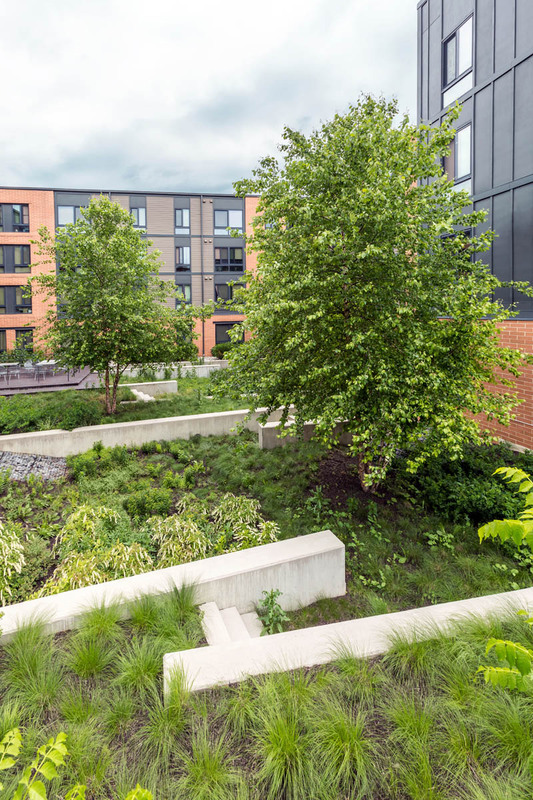 The Lillian Jones landscape is a yin and yang of external and internal spaces. The front entry is an angular sculpted lawn that provides accessible outdoor space. 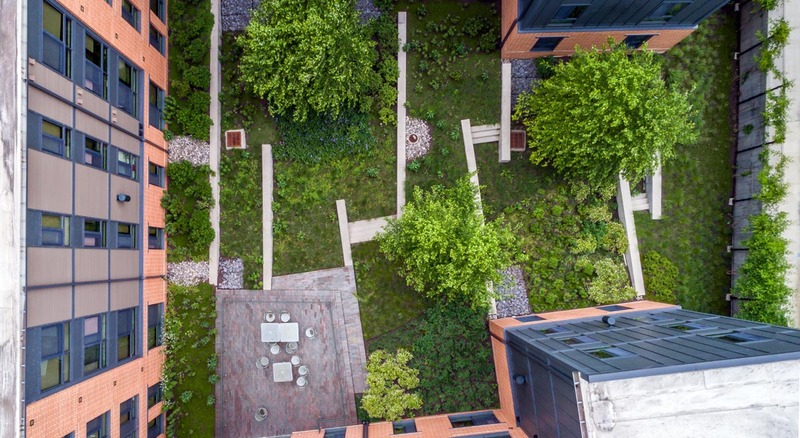 The courtyard, wrapped by the building on three sides, is a quiet garden retreat. 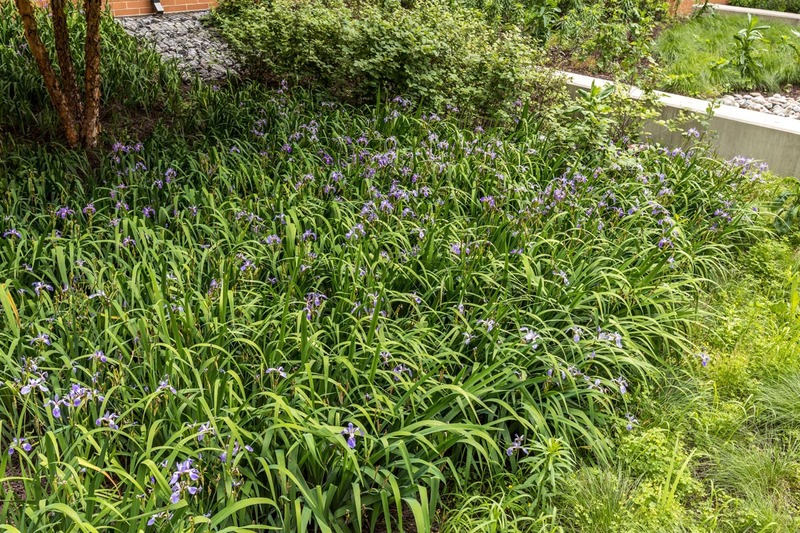 Masses of perennials and shrubs double as a stormwater garden stepping down weirs toward a terrace. East Baltimore is grim reminder of the past vitality of the city with its many abandoned homes and vacant lots. The decay of the Lillian Jones site is typical of the decay of the area. While city’s masterplan has numerous revitalization projects slated for the area, the present situation is piecemeal redevelopment at best. 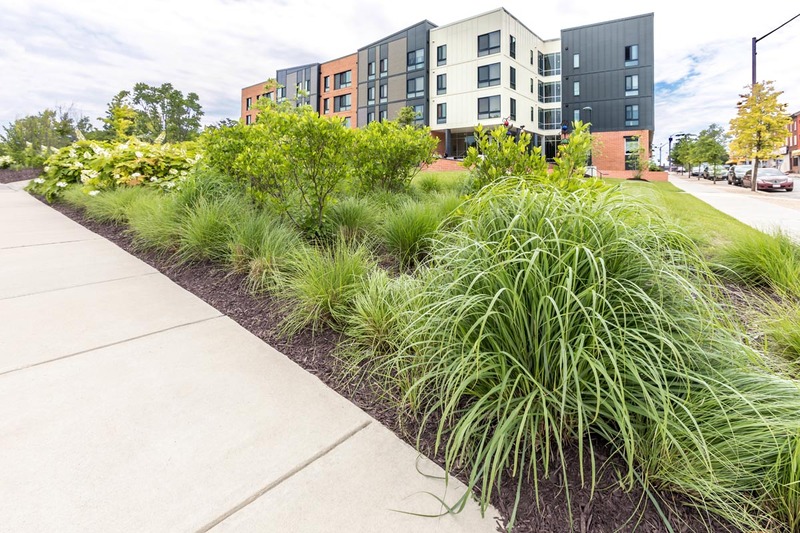 The site was a 1.75 acre vacant lot located in Baltimore City in the Johnston Square Urban Renewal Area. 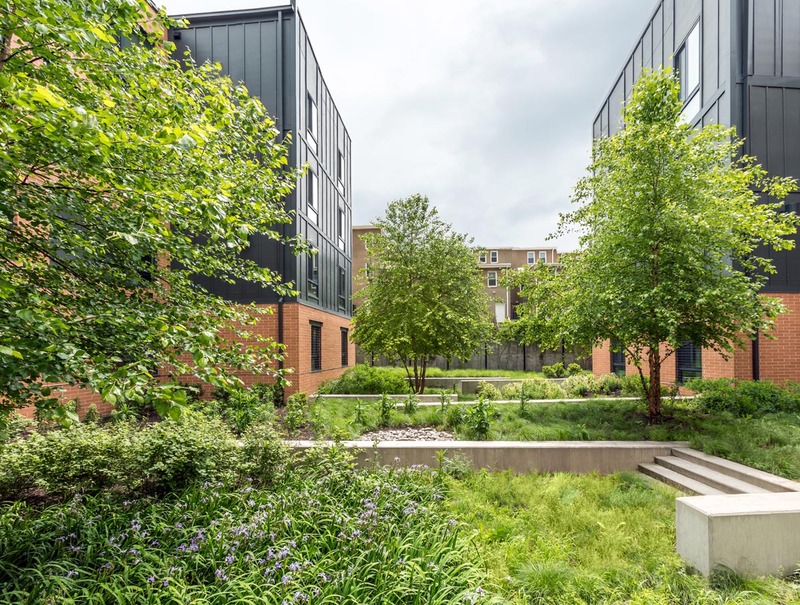 Surrounded by roads on two sides, a decayed alley on the third and Greenmount Cemetery on the fourth, the central issue of the site is the establishment of a vibrant, built presence in this peripheral location. The area is characterized by a mix of uses. To the east and south are residential homes and to the east is industrial. A railroad tunnel lies underneath a portion of the property along the northern edge. The site drops 22 feet diagonally from southeast to northwest. 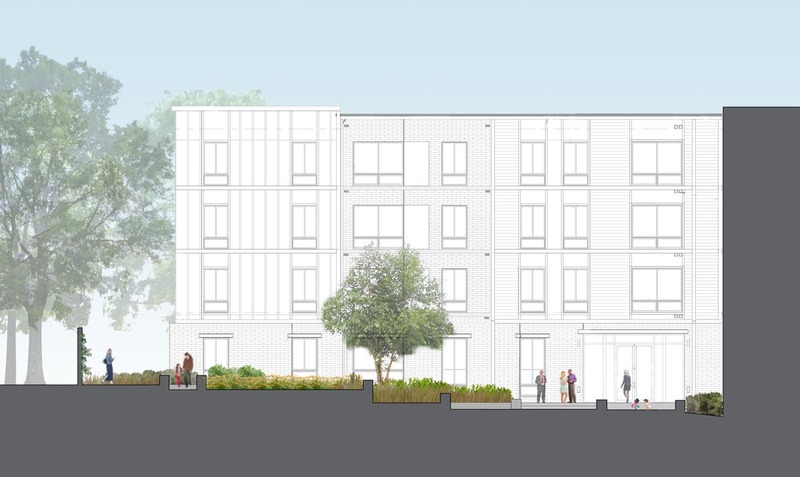 This project involves the design and construction of a four-story apartment building with 74 units, in a mix of one-, two- and three-bedroom units, to be known as the Lillian Jones Apartments. 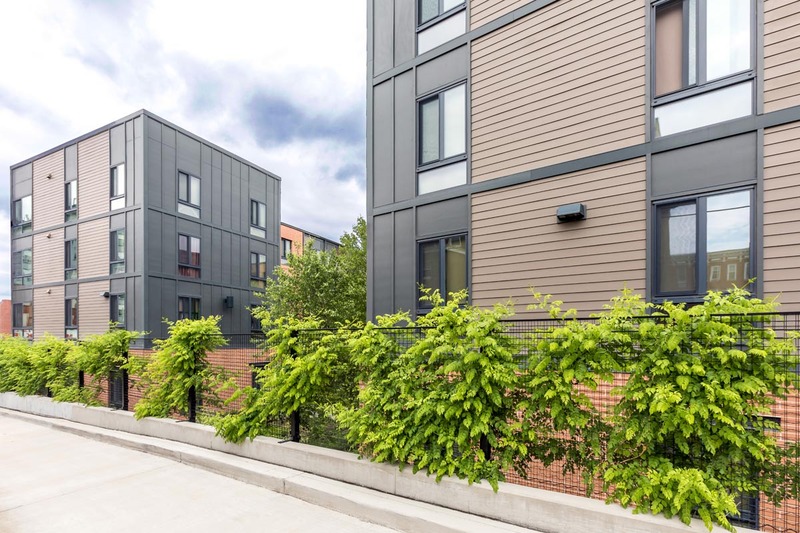 Affordable units will be 50% or below of median income. The project area is comprised of City-owned properties that are being transferred to the developer through a Land Disposition Agreement. The building footprint takes up approximately half of the site. It is pushed as far north as possible to provide clearance for the train tunnel and to allow 33 parking spaces to be positioned along the front of the building. The building is U-shaped opening to the north. 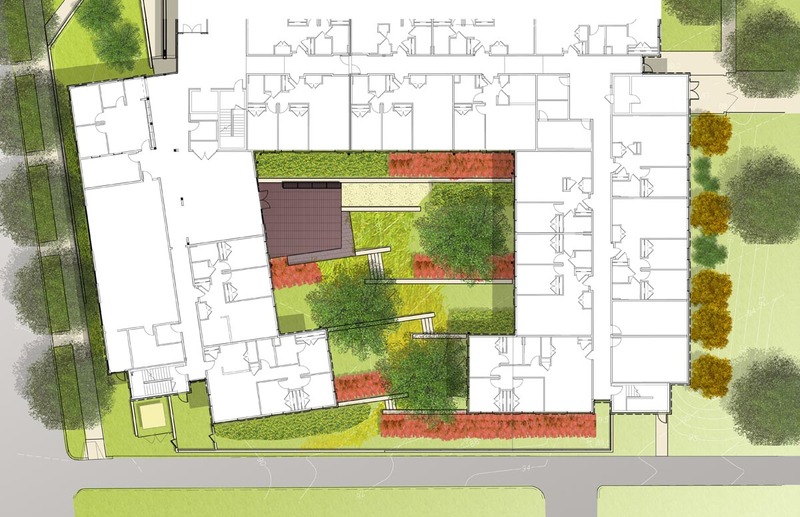 Major public spaces on the site include the front entry and the interior courtyard. 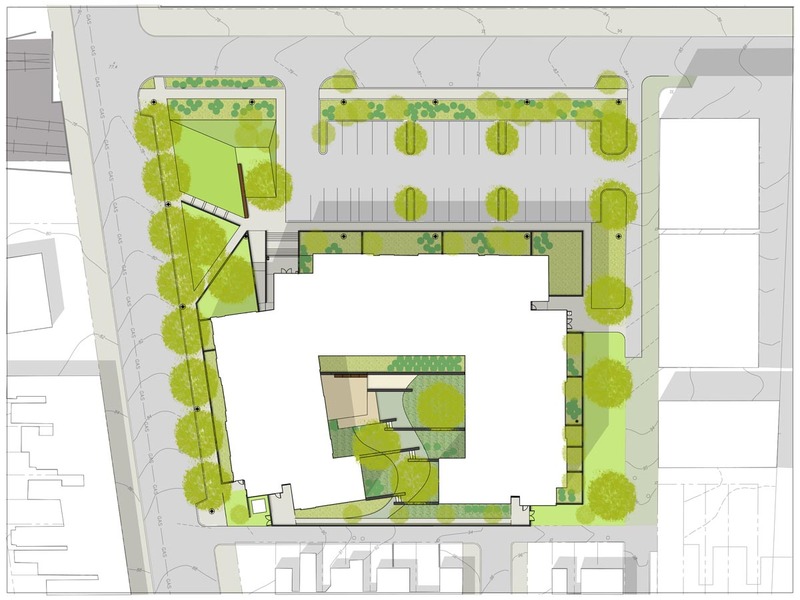 The front entry is an angular sculpted lawn that provides accessible outdoor space, a place to sit and watch the activity and the street, and a dynamic platform for the main building entry. The courtyard is intended more as a quiet retreat. The only accessible area is the terrace itself, immediately adjacent to the building’s door. 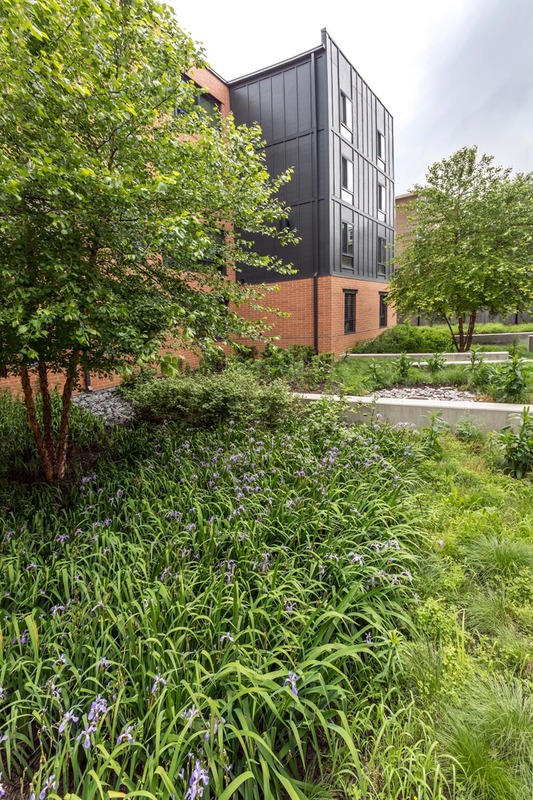 The majority of the area steps down toward the center of the space with walls that are check dams for the stormwater management of the site. 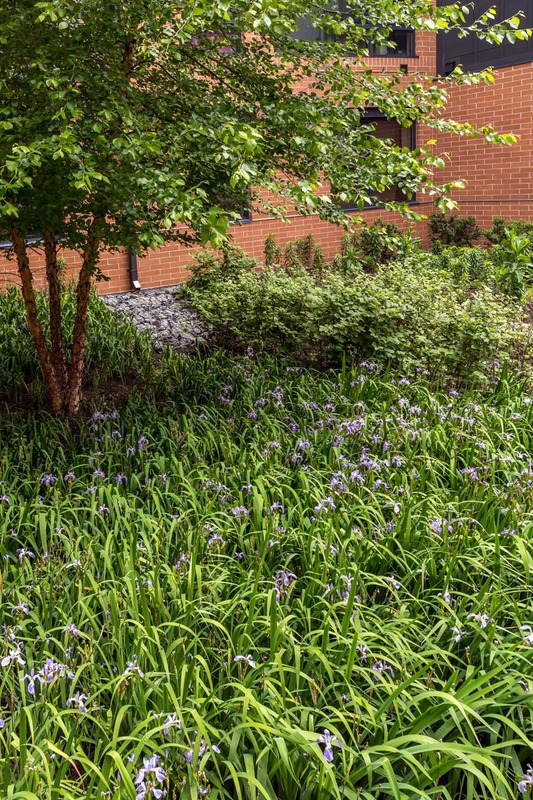 The courtyard is heavily planted with shrubs at the edges and a sweep of native grass at the center adding color throughout the year. 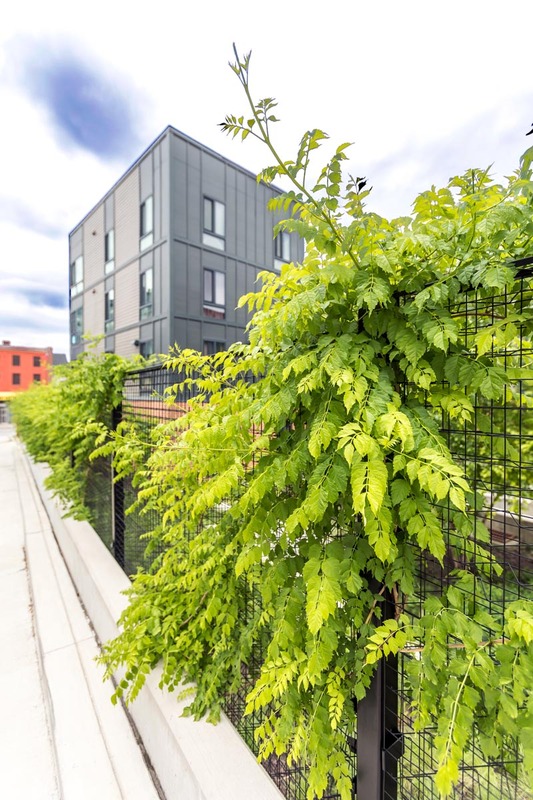 Native plants are used on the whole site, and additional walls step down along the sides of the buildings to bracket the rain gardens at their edges.A sanitary line will be relocated to an area along Greenmount Avenue under the sidewalk to allow for this proposed building. The project was designed in conjunction with Cho Benn Holback + Associates.